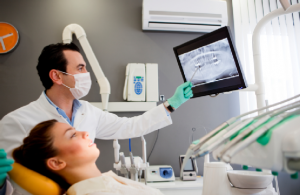 While technology continues to bring great advancements to Dental care the same holds true for how IT NetGroup manages the critical systems you rely on to service your patients and clients. The days of break-fix services are becoming a thing of the past. Proactive management is now the standard for how our clients expect their systems to be maintained, managed and monitored to prevent common issues that can result in poor performance and costly down-time. With a customized managed services plan we will take care of maintaining, optimizing and monitoring your PC’s, Servers and Network, keep you protected from Spam, Viruses and Malware, make sure your systems are backed up and provide you with a comprehensive disaster recovery strategy.